Canadian nationality law is defined by the Citizenship Act, which determines who is eligible to be a citizen of Canada. “Jus soli” is a Latin phrase for “the right of soil.” It is commonly used to refer to birthright citizenship, the right of anyone born in the territory of a country to nationality or citizenship of this country. Unfortunately, this principle is slowly becoming a thing of the past. Some countries have abolished it completely (like India and Malta), many other countries (including such developed countries as Australia, France, Germany, Ireland, New Zealand, Spain and the United Kingdom etc.) have introduced a restriction to “jus soli”, mostly requiring at least one parent to have citizenship of that country. Only a limited number of world’s 195 countries grant citizenship at birth to the children of foreign nationals. No European countries grant automatic citizenship based on jus soli. In its original pure form, “jus soli” mostly exists in the Western hemisphere, including the US and Canada. Today, Canada is one of a few “developed countries in the world” that offers unconditional citizenship to children born in the territory. If a child is born in Canada, the child receives Canadian citizenship. Even in a situation, when a child is born to parents who are not Canadian citizens, the child automatically becomes a Canadian Citizen. Non-residents of Canada may come to Canada to deliver a child. The parents of a Canadian born child will not have any special advantage to obtain permanent residence in Canada. Should a parent of a Canadian born child decide to remain in the country with the child, he/she would stay on a temporary resident visa, such as a visitor, student, or worker, provided he/she would be eligible to receive it. Most parents of Canadian born children return to their home countries together with their babies, knowing that once the child grows and is old enough, he or she will be able to return to Canada to live, study or work and build a life in Canada. Child birth Canada gives children who are born in Canada a hope when they go back to their countries. They are Canadian citizens, and in any point in their lives they will be able to move to Canada and live a better life. Giving birth in Canada for non-residents: Under the Citizenship Act, all babies born on Canadian soil are automatically granted citizenship, except for children of foreign diplomats. Canada and the United States are the only G7 countries that have birthright citizenship. Birth tourism in Canada is not illegal in Canada. There is no official federal data on birth tourism. Can a visitor give birth in Canada? 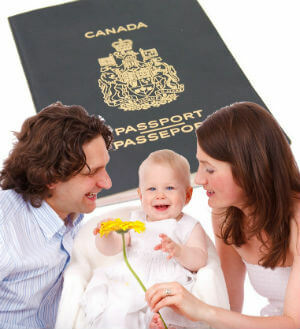 As in the case of other foreign nationals not holding Canadian citizenship, children born in Canada of foreign representatives who are not Canadians by birth and no longer accredited may eventually be naturalized Canadian citizens, subject to relevant provisions of the Immigration and Refugee Protection Act and once the residency obligations as set out in section 5 of the Citizenship Act are met. Can a mother willing to come to Canada be denied a Canadian visa because of her intention to deliver a baby on a Canadian soil? No. Immigration, Refugees and Citizenship Canada clearly states that the assessment process of the applicant for Canadian visa who is a pregnant woman should be based only on the applicant’s income, admissibility factors and establishment in the country of origin. Is it allowed for a father of the child to visit a newborn in a hospital after a birth? Yes. Father and any other relatives are allowed to visit mother and the child at hospitals. Can a child born in Canada become a Canadian permanent resident or citizen? A: Yes. Every child born in Canada becomes a Canadian citizen, even if both parents are foreign nationals (citizens of another country than Canada). The selection of a hospital and other client preferences may cause the cost of the natural birth and hospital stay to vary. We leave the choice to our clients, providing exhaustive information for decision-making and budget-planning. Please contact us for a quote.